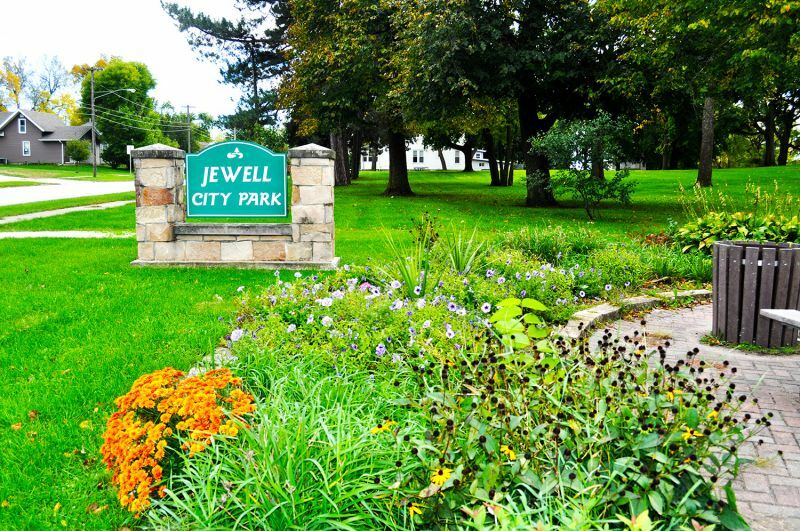 The City of Jewell's park facility is available to groups and citizens to reserve for family gatherings, group parties, picnics, meetings, or other events. Park reservations are on a first-come, first-serve basis and a fee of $15.00 per day is required. For additional information or to see if a specific date is available, contact the City Hall at #515-827-5425. The JewEllsworth Trail was completed in 2016 and connects the towns of Jewell and Ellsworth. It is a popular walking and biking destination for all! The Jewbilee Trail is a scenic 1/2 mile trail that runs through a nature area along the creek. A limestone surface provides a level path for walking and biking. The trail begins one block east of the City Park.